This is the Horsehead nebula and Flame that has been taken in narrowband and then blended in the tradition Hubble Space Telescope palette. I have decided to leave the green in the image as it added great depth that was otherwise missing. This is not normally presented in narrowband colours so it is quite unusual in this regard. 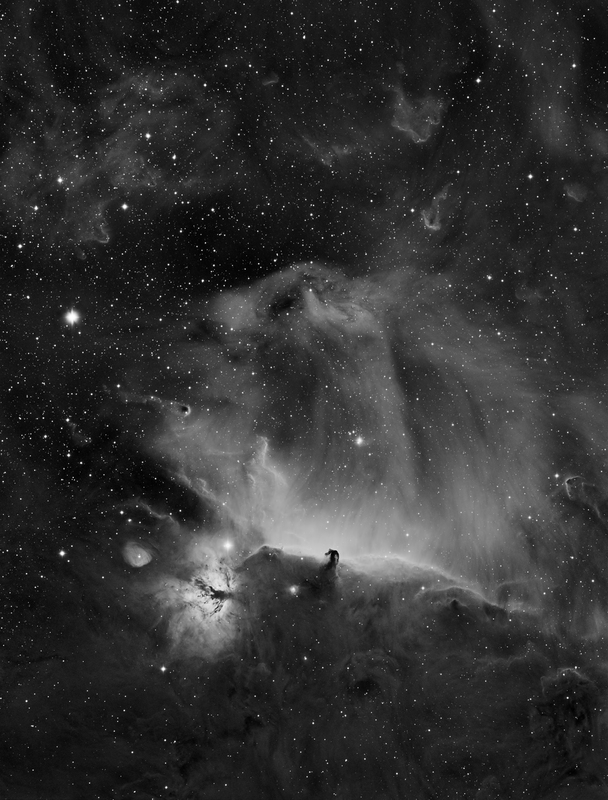 This was taken with the Takahashi FSQ85 dual rig, but the Ha was from the 2 pane mosaic from the previous year. Total of 29 hours of integration time. 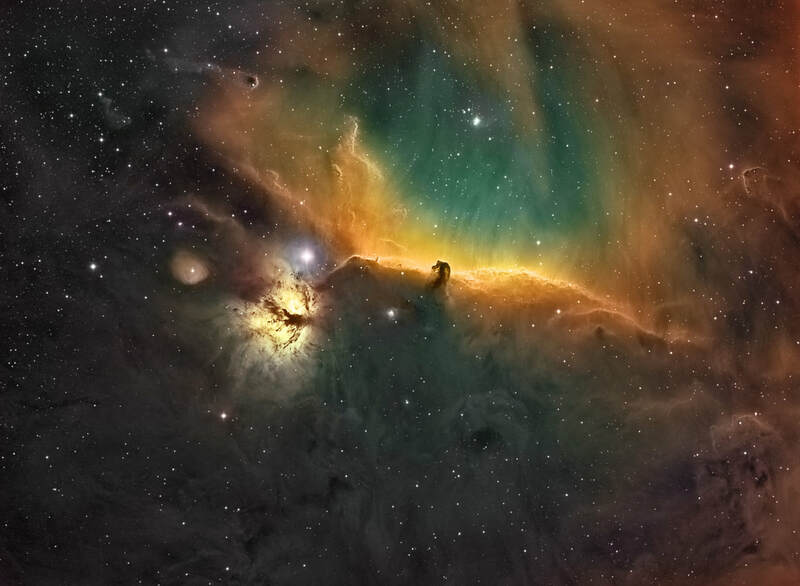 This is a two pane mosaic of the Horsehead area in Orion. I originally did the lower pane (the image below) but felt that a pane above this would give a sense of completeness in the image. This is the first image that has taken advantage of the dual rig that I have got together. 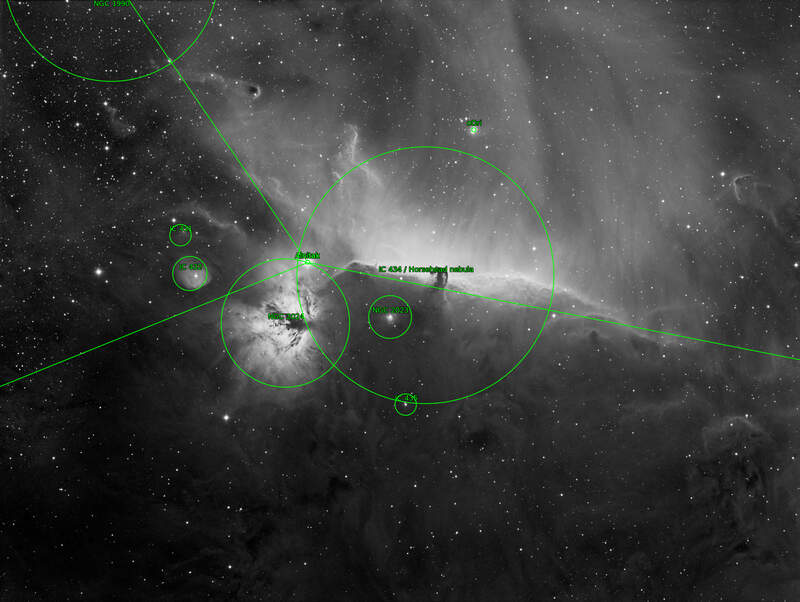 This is a single pane widefield image and you can see the difference between this image and the close up image below. This gives you a great feeling for how different telescopes at different focal lengths impacts on the apparent magnification of an object. This is a 3 pane mosaic in total, all exposures are 1800s and this it totalling 20 hours of exposure.